There are tons of books and advice on the internet for teaching your children how to listen to you, but there’s not much on the opposite of the spectrum; how do we as adults improve at listening to them? I have a friend whose second grade son Zain is smart, funny and hilariously well-spoken. He tells the most interesting stories, and I always leave the conversation feeling energized by his words. In the past when I have taken the time to ask about his day, he’s told me about inventions he would like to create (a stroller with air conditioning), the difference between teal and aqua, and his love for bluegrass music, among other things. It’s encouraging to listen to young people, especially when their insights leave me questioning my own ideas and preconceived conceptions. How do we get our kids to open up to us and share their ideas and feelings? We start by listening to them from the beginning, when they are young, in hopes that they will continue to share their thoughts with us as they grow. “If they don’t think we will play, they may not even ask. They just go about their business, and we go about ours, and we all miss chance after chance to reconnect,” says Cohen. 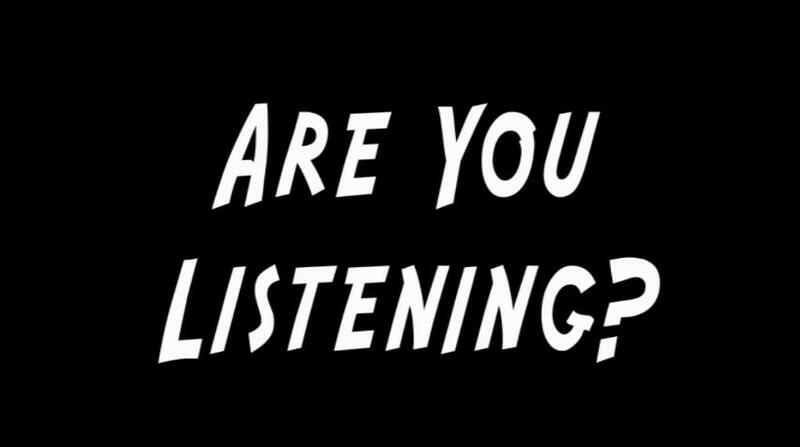 It’s true that sometimes the art of listening goes hand in hand with being patient, with simply connecting and asking questions, without an agenda. One of the things we do at Youth Resources is encourage young voices to be heard through youth-led programming. We realize just how capable youth are when we allow them to express their concerns, passions and priorities. I recently learned it starts even sooner than I thought. I read a few books to my ten-week-old each morning as a way for us to spend some time together before the busyness of the day begins. He only just recently began looking at the photos and responding with coos as I read. I started to realize that when I stopped reading and started offering time for him to respond, he would. Even at ten weeks, he seemed to understand that I had stopped for a break and looked at him with anticipation. In response he usually lights up with a grin and says a jumble of baby sounds. When given the opportunity to be heard, kids often take the leap. Let’s work to encourage their expressions by simply lending an ear. Jessica Mitchell is the Marketing & Design Coordinator at Youth Resources.